Assoc. 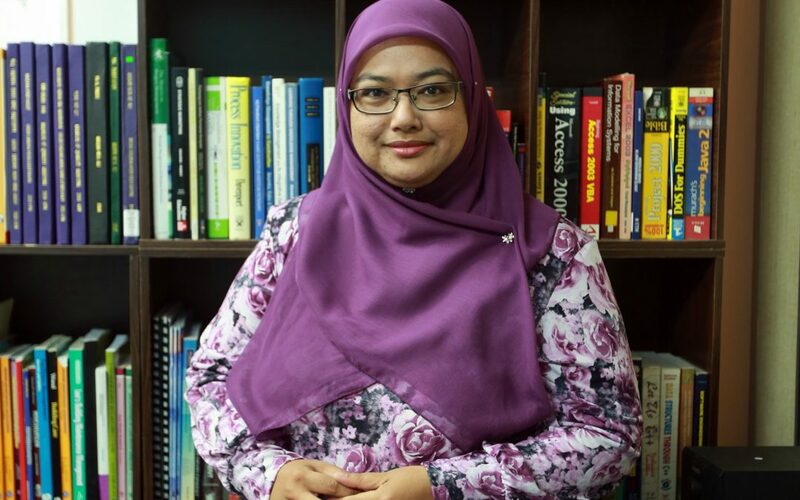 Prof. Sr Dr. Kherun Nita binti Ali of the Faculty of Built Environment and Surveying has been appointed as the Vice President for Academic and Research of Building Information Modelling (BIM) Institute of Malaysia effective 14th December 2018. BIM Institute of Malaysia is a multidisciplinary center for the construction industry and academia that focuses on the strategic implementation of BIM in a construction industry. She received the appointment recently at the institute’s Annual General Meeting. Dr. Kherun is also the Head of the BIM Center for Digital Innovations and Solutions (BIMCDIS), Faculty of Built Environment and Surveying as well as the Head of BIM Research Group (BIMRG). Apart from her extensive publications on BIM, she also leads researches in BIM and has been invited as BIM speaker or forum panelist at BIM related events. She is actively involved in the Royal Institution of Surveyors Malaysia (RISM) BIM Sub-Committee and BIM Legal Working Group which is one of the seven pillars of Construction Industry Development Board (CIDB) BIM Roadmap 2015-2020. Dr. Kherun attained both her MSc in IT Management in Construction and PhD in IT from University of Salford. She was a recipient of the prestigious University of Salford Scholarship for her full PhD research which she graduated in 2004.